The A.K. 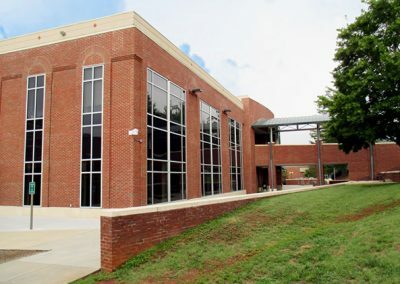 Hinds University Center is the central hub for student social life on the campus of Western Carolina University. 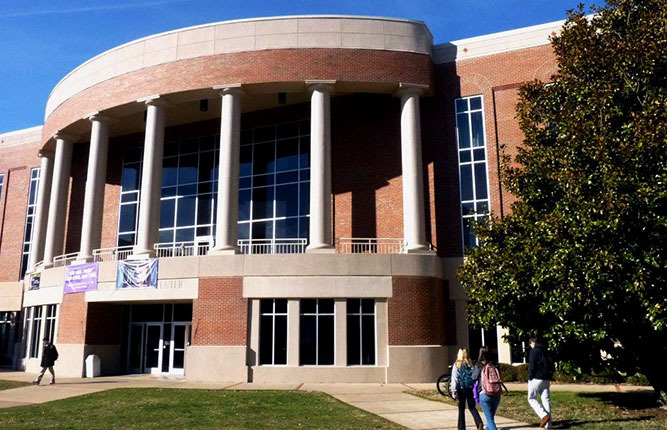 It is the center for student learning, leadership development and personal development. 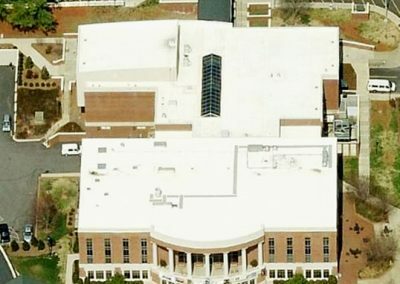 The building includes meeting rooms, a movie theater, food court, kitchen, mail room and grand ballroom. 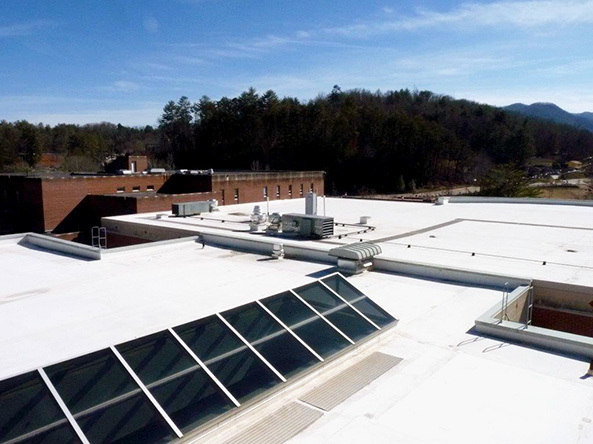 This is a three story building consisting of 2 main roof areas and three smaller roof areas, for a total 33,700 sf. The building was constructed in two phases. 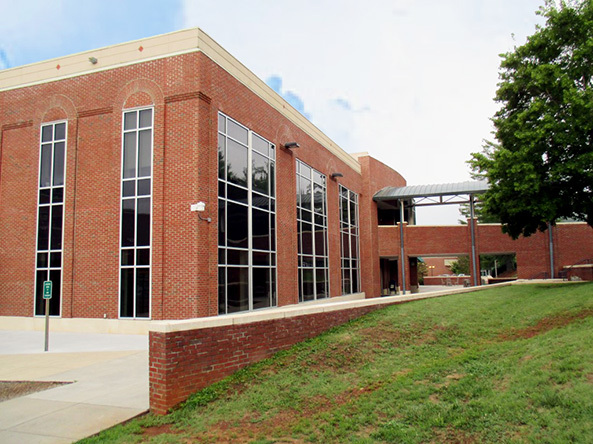 The initial portion of the building was constructed in 1965 consisted of 17,800 sf. with a gypsum deck. 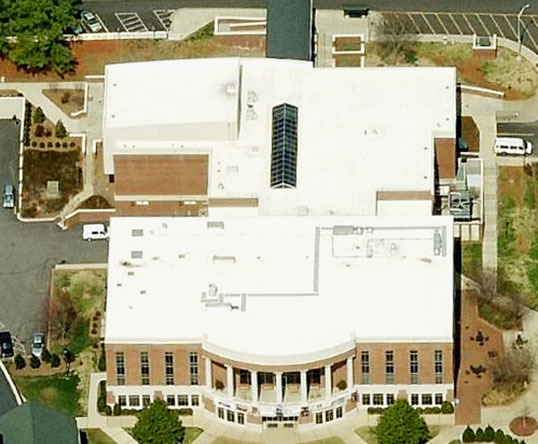 In 2005, a 15,900 sf. addition was constructed with a metal deck. Raymond Engineering was retained to perform a roof survey of the building to assess the remaining life expectancy as well as assist the university with their capital improvement plan. 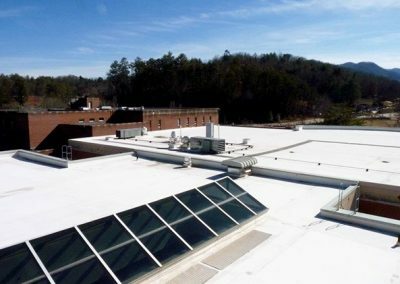 This survey estimated roof replacement costs for various roof replacement options including modified asphalt membrane and single ply PVC. 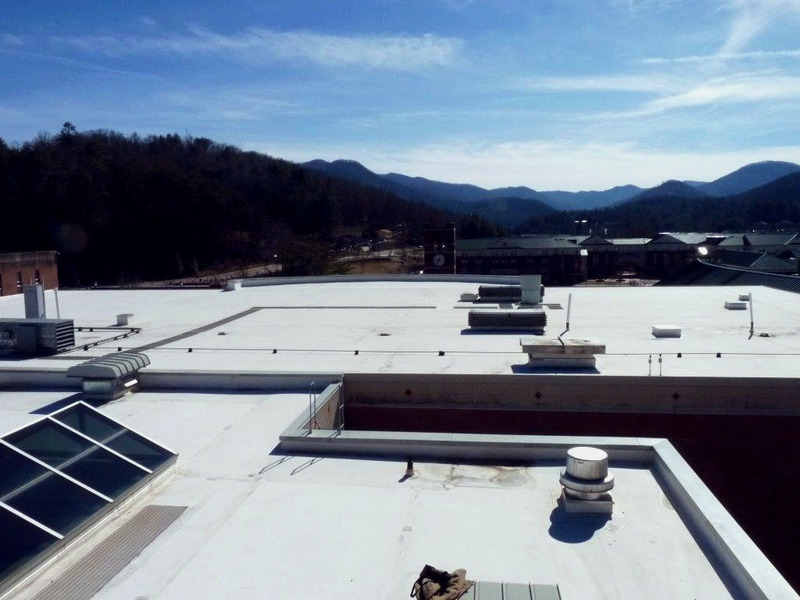 Following the roof survey, Raymond Engineering was retained to perform the roof replacement design. The roof replacement design scope included re-use of the existing insulation where possible, installation of new insulation to meet the building code requirements for roof insulation and “R-value” and installation of a new white single-ply PVC membrane. 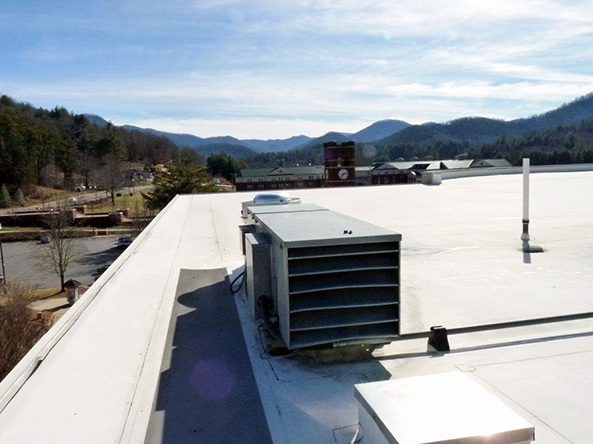 As a part of this scope of work, an infrared and nuclear survey was performed to ascertain the presence and extent of any wet insulation. The bright white single-ply PVC membrane will be highly reflective to save energy. Design took place in the winter of 2015-2016 and construction took place in spring of 2016.